Beautiful form of wooly tea tree with tiny leaves of pure silver. Great fine textured shrub for a dry and protected area. To 6′ x 5′ in 5 years one of the most silver evergreen shrubs in our climate. 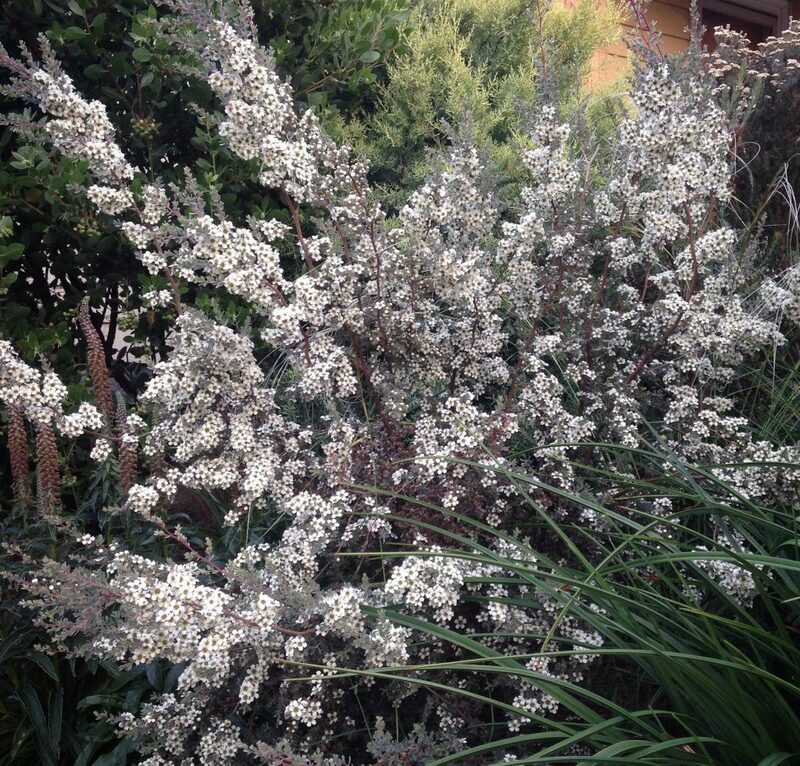 Blooms prolifically in June covering the whole shrub in white stars. Easy to grow in full sun and average, well drained soil. Light, consistent summer water. Will often have random flowers year round as well. Fast growing. Avoid the coldest sites- best in warm, sunny, gardens. Mix with other shrubs- especially yellow or chartreuse foliage which really makes this shrub pop. Listed as tender in some fairly famous publications…which don’t know what they are talking about. We’ve had this shrub planted at our very cold nursery in Wilsonville for more than 15 years….and there it still happily thrives. Moderate deer resistance.